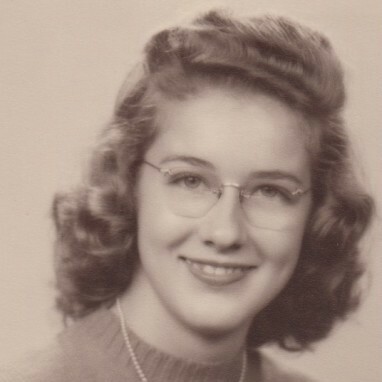 Martha Ann Tunnell McGavic was born December 19, 1930 to Cecil Emmett Tunnell and Bessie Stalnaker Tunnell. She departed this life on Friday, June 29, 2018 at Wellstar West Georgia Medical Center. On September 19, 1948, Martha married the love of her life, Reverend Claude Earl McGavic, Jr., In Memphis, Tennessee. After their marriage they moved to Houston, Texas where their first son, David, was born. They then moved to Memphis, Tennessee where they had their second son, Bruce. After moving to Atlanta they had a daughter, Claudia. Martha was preceded in death by her son, Bruce. She is survived by her husband of 69 years, Claude, son David (Judy), Claudia (Samson), grandchildren, Nathan (Denise), Adrienne (Marcus, Sr.) and Marcienne (Zach), 8 great grandchildren and 2 great-great grandchildren. Martha was known as one of the most kind, selfless, Godly women and she will be greatly missed by all who knew her. Visitation for Mrs. Martha Ann McGavic will be on Monday, July 2, 2018 from 1:00 pm until 3:00 pm at Callaway Baptist Church, 310 John Lovelace Rd. LaGrange, Georgia 30241. Following the visitation a funeral service will be conducted in the sanctuary of the church. Pastor Brad Thompson will officiate. Interment will be in Meadoway Gardens. Hunter-Allen-Myhand Funeral Home in charge of arrangements. Please log on to www.hunterallenmyhand .com to leave your condolences and remembrances.